The Public Access to Court Electronic Records (PACER) system is being accused of charging fees for documents in excess of what is allowed by law. Three non-profits – the Alliance for Justice, the National Veterans Legal Services Program, and the National Consumer Law Center – filed suit in 2016 arguing that the fee structure established by PACER for the purchase of electronic document images was in violation of federal law. 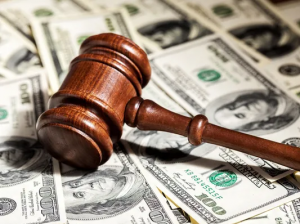 In March of 2018, a Federal Judge ruled that while the arguments of both the plaintiffs and the government were fundamentally lacking, the Federal Judiciary had exceeded Congressional authorization in some of its expenditures. Both the non-profit groups and the government have appealed the decision. A copy of the opinion on the original case can be found HERE. A copy of the Appeal that has been filed can be found HERE. If you have any questions about access to the Federal Courts the PACER system, or would like information about any of our other products and services, contact us at customerservice@courttrax.com or give us a call: 866-643-7084 (Option 2).